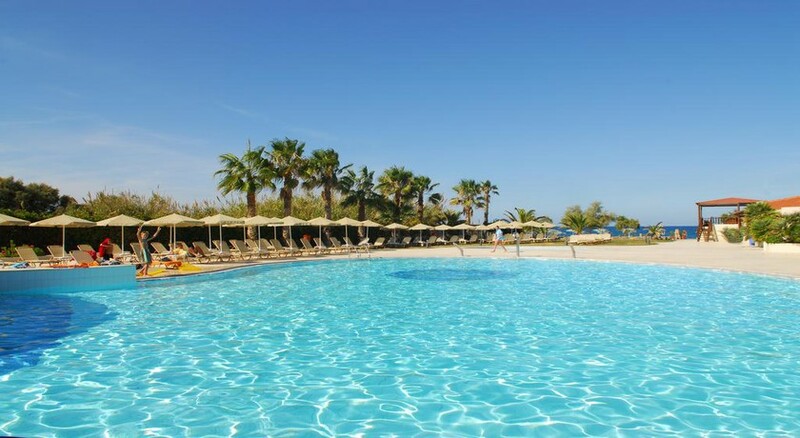 Minos Mare Hotel is located on the beach of Platanias- a blue flag certified spectacular and wide sandy beach. and is the one of the best tourist destinations for an exquisite vacation. Guests can discover a new world of luxury at this beach hotel. This visionary complex on the beachfront opened its doors in 2009 and has 65 guest rooms and 6 suites; a palatial accommodation with unparalleled privacy and luxury. 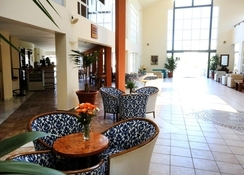 Guests traveling on business will appreciate the secure conference facilities. For an additional fee, guests may make use of the room and laundry services, as well as the bicycle rental service. The Wi-Fi Internet connection and parking complete the offer. 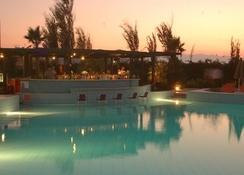 Minos Mare Hotel is located on the sandy beach of Platanias. The center of Platanias, with its numerous restaurants, bars, clubs and a bus station, is just a 2-minute walk from the complex. 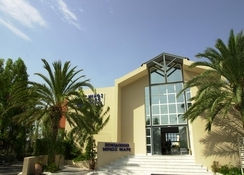 The hotel is located about 5 km from the city of Rethymno, with a great offer for shopping. Chania Airport is 80 km away and the Heraklion Airport is 82 km away. At the Minos Mare Hotel, guests can choose from standard rooms and standard rooms with pool view. 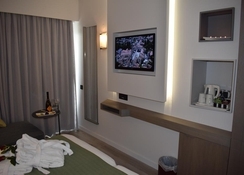 Each room is elegantly decorated with rich fabrics and comes with a modern bathroom with exclusive toiletries. The Guests will also receive a complimentary welcome pack to ensure a great start of their vacation. The rooms, overlooking the pool, create an artistic harmony between simplicity and elegance, and have luxurious facilities and services, such as individually controlled air conditioning, direct dial telephone, private balcony with window network balcony doors, digital safe (free), LCD TV, satellite channels and DVD player, high-speed Internet access (free) and coffee / tea making facilities. Minos Mare Hotel has a buffet restaurant where you can enjoy delicious Greek and international cuisine in buffet style. There are also vegetarian options and the hotel staff organizes themed nights regularly. 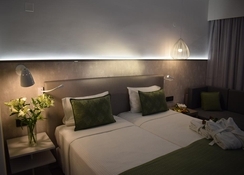 Guests can treat themselves to breakfast buffet, buffet dinner, restaurants with Air-conditioning, restaurants with non-smoking area, vegetarian food and a themed buffet restaurant ‘Ambrosia’. The complex also has an à la carte "Poseidon" restaurant, located right on the beach. Here you can enjoy a romantic evening in an atmospheric ambience or the late riser breakfast. The pool bar at the resort hotel not only serves alcoholic and non-alcoholic beverages, but also serves snacks. Enjoy a relaxing evening and watch the sunset. To round off the evening, the "Ariadni" bar is the perfect place to enjoy aperitifs or cocktails. The complex, surrounded by large gardens with different flowers and trees, offers guests facilities and services such as a mini market and gift shop, jewelry store, luggage room, elevator, library, billiards, internet corner, table tennis, Jacuzzi, swimming pool, children's playground, playground, beach volleyball court, a 24-hour reception service that includes information general, car rental, excursions and travel information.